The caster section of A Plus Warehouse is an under appreciated section. 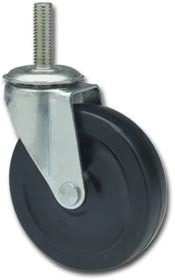 Hopefully, this article will teach customers more about our casters with the hooded round ball caster in particular. 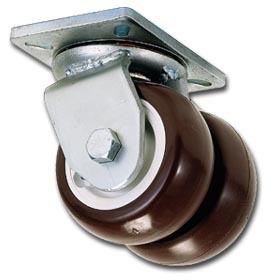 When ordering casters, customers must consider what type of caster they need. A Plus Warehouse stocks several line of casters include locking casters, industrial casters, pneumatic casters, heavy duty casters, stem casters, swivel casters, and wheel casters. Each of these lines of casters serves a different purpose. Customers should talk to A Plus Warehouse sales people to find the perfect type of caster for their operation. Almost all customers need some type of caster. They are a major part of any material handling system. Today’s product of the day falls under the stem caster line. Other products in this line include threaded stem casters, shopping cart caster, all purpose caster, dual wheel caster, and the basic stem caster. 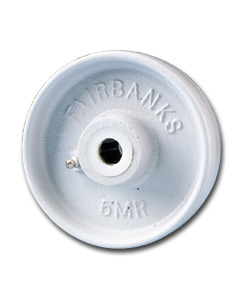 Many customers need stem casters, and A Plus Warehouse is happy to supply such casters. The company distributes casters manufactured by trusted names such as Colson, Hamilton, Fairbanks, Payson, Albion, and Triopines. 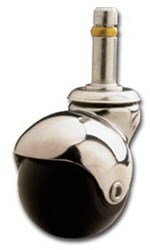 The hooded ball caster is ideal to be used on all sorts of floors. It is designed for low pile carpets, chair mats, and hard flooring. Very few casters have this feature. A picture of this caster is shown to the right. This caster also has a non-marketing wheel design. Customers should consider ordering this caster today.